The Universal McCann study on "Social Media Usage" noted that in the Philippines almost 100% of active internet users watch videos and a significant number also upload videos online (for more info about this study visit Stitching). 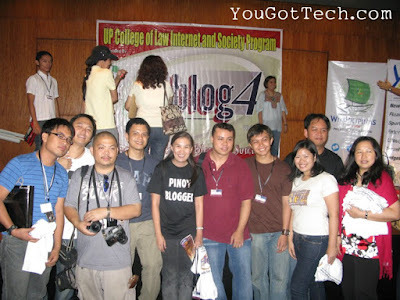 In the Philippine blogosphere a number of bloggers are also trying their hand on video blogging including YGT contributors, Coy, Juned, Janette, Ria, and myself. Following our talk on podcasting and vlogging during iBlog4, Coy and I thought of doing a small workshop to understand the platform better... ergo... we want to improve our videos and make it more interesting to watch. Buddy Gancenia, a renowned and multi-awarded videographer, has been quite active in taking videos for IT events. I met him when I did my very first talk at the Philippine Trade & Training Center almost 2 years ago and have since bumped into him a couple of times in events. He graciously volunteered and spent some time with a small group of video bloggers in a workshop entitled, "Vlogging with Buddy". 2. Make sure you know what you are going to shoot. 3. Sometimes it's really good to have a lot of footage. 4. Be conscious of continuity. 5. Make sure your audio is crisp and understandable. He also showed samples of videos that were edited - good and bad editing, and gave a lot of samples that were inspiring (and inspired a number of us to tie the knot hehehe). Check out Buddy's videos at the BuddyRealityTV Youtube channel. 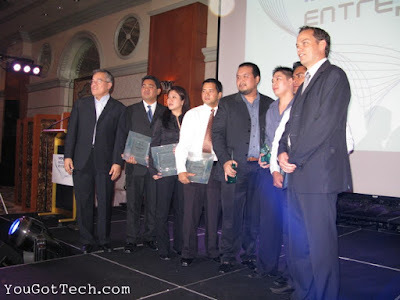 Last May 13, 2008, Nokia held an awards night for the Nokia Mobile Entrepreneur Awards at the Makati Shangri-la Hotel. During the event an AVP showcased businesses that made it to the finals, highlighting how these companies used mobile technology as a tool in their operations. Some of the finalists included businesses in the mobile phone distribution sector, fashion (clothes and shoes), food and web development/design. 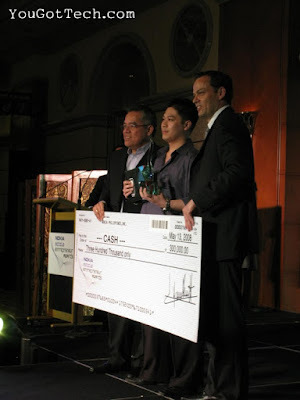 Grand prize winner was Kuy Designs. 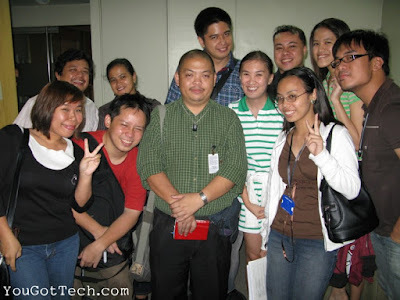 YGT contributors Jay, Aileen and Juned at the event with bloggers, Marcelle and Poyt. Personally, I've been a Nokia user for more than a decade now. 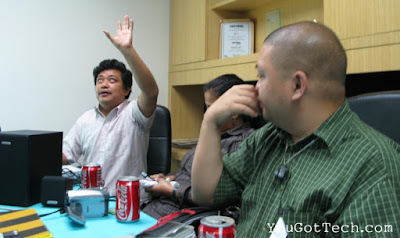 My first Nokia phone was the pangkaskas-ng-yelo, the N100. It was my service unit when I was still working for Smart and eventually this was changed to the sexier N909. Those were non-GSM phones (analog!). 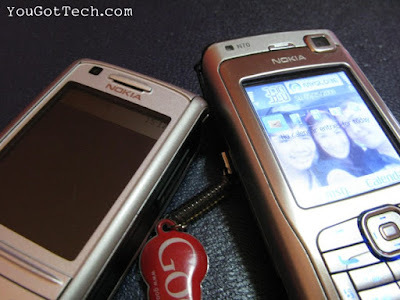 My first GSM phone wasn't a Nokia phone, but I had difficulty using it because of the keypad and I experienced some usability issues so I've stuck to using Nokia phones after that. 1. It's easier to navigate. No need to read the manual! It's good for the elderly as well. 2. Transferring files to and from the phone the PC is easy. The application to use it is pretty easy to understand. 3. There are times I don't bring my camera, so I just use my phone to take photos and videos. The audio for the video is quite good. 4. It fits my hand perfectly. I SMS a lot and the phone makes it easy to send loads and loads of messages. My colleagues even took a phone of my old phone since the keypad was so scratched it didn't have anything written on it anymore. My colleagues from other countries thought this was very unusual and funny. Duh, hahaha. 5. I have not experienced any break downs (knock on wood). My old phones are still working and still being used. I have not even changed batteries! The only setback I've experienced so far are glitches in syncing data from the laptop/PC, sometimes it works, sometimes it doesn't. 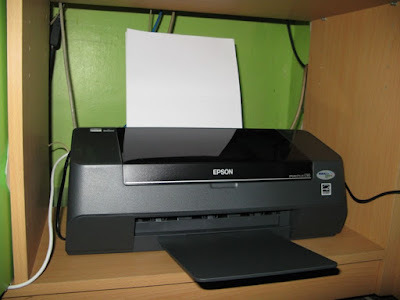 The very first printer that was handed down to me by my Kuya was an Epson dot matrix machine. I remember spending endless hours printing my college thesis on it. It was good for Wordstar, but when we shifted the thesis to MS-Word, printing it on a dot matrix printer was just unbearably long and noisy! Eventually, my Kuya handed down his HP inkjet to me. For more than a decade I stuck it out with HP because: (1) printing quality is very good; (2) the ink is economical albeit a bit expensive; (3) it WAS durable. After the first inkjet we got an HP Deskjet 895 in 1999 and that piece is still alive to this day, though the ink's very expensive and since George is comatose I can't use it on any other PC/laptop (port not available). Since the ink cartridge of the HP Deskjet is quite expensive I tried using the HP All-in-One series and in 2006 I got my third one because the first 2 conked out and were irreparable (to think I do not use it everyday). The third one conked out again in the past month and I don't want to bother going to the repair center just to be told that it's irreparable. Goodbye to the PhP8,000+ investment I made 18 months ago. 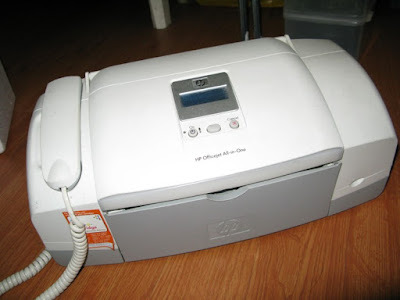 So I've decided to say goodbye to HP, my long-time printer friend. IMHO, it seems that the printers being produced today are meant to conk out after a year or two. After my third "all-in-one" I have learned to accept the fact that I should NOT buy an "all-in-one" gadget. Tigas talaga ulo ko eh. not want to spend more than PhP2,500 for a new printer, besides I don't need to print that much stuff anyway. I got quite a lot of suggestions - Epson SC90, the Canon Pixma IP1880, and the Brother DCP-150C. Epson and Canon were in the same price range, Brother was quite expensive at PhP3,950. I got a warning too about Epson conking out after a year too, but I think at the price of PhP2,295 I'll take the risk. 1. Original ink is available in most computer shops. 2. If I'm broke I can go and buy ink at CDR King. 3. Unlike HP there are 4 ink cartridges, I think it's more economical that way. I realize now that I probably don't use up the whole colored ink caboodle in my old HP printer. I just printed a couple of documents and - (1) it's noisy and (2) printing speed is not as fast as my old HP printer. Well, good luck to me. I'm sure glad my Dad donated PhP1,000 for the new printer. My son, Miguel, always wanted to learn how to make robots and it has been very hard to find a workshop for kids (much less adults). It's a very niched interest and I must admit it took me more than a year to finally find them. I was quite lucky to see by chance the poster of the Lego Mindstorm Robotics Center at the SM Science Discovery Center at the Mall of Asia. Robotics, after all, is something that seems very complicated. Robots are made for very simple acts such as making coffee, repetitive manufacturing processes to intricate medical operations. It is beyond me how it's done (LOL! ), but since my kid's very excited about it I'm leaving it to him to learn more about it. I hope he'll complete all the levels in the workshop. I. What is Video Blogging? Eugene did a match-the-eye rendition of YouGotTech contributors in his blog, go check it out. 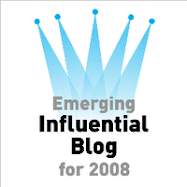 It was a rare occasion indeed for YGT since majority of the contributors were present at the iBlog4. All the contributors from Davao were present - Winston, Andrew, Migs and the newest in the team - Queen Ria. Coy will also do the honors on posting the video that we prepared for iBlog4.